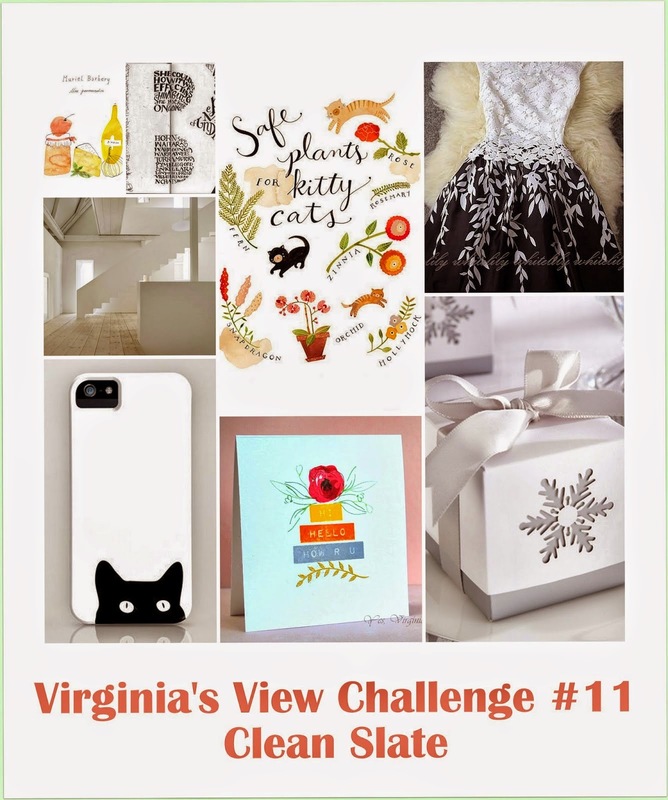 Today I have made a card for the Virginia's View Challenge- A Clean Slate. And although my card is NOT one layer- It is quite simple in design and DOES have a lot of white space- so I'm hoping that it qualifies? (pretty please Virginia? :) Well, even if it doesn't I will be making some more entries because I am on summer holidays and I can! Woo hoo! I have popped up the entire front panel, leaving a little strip that exposes the heat embossed sentiment on the black card base underneath. Hi Preeya. Nice to meet you. What a beautiful card. You are a watercoloring guru! Enjoy your 38,000 degrees. We have gray skies and rain here in Germany. 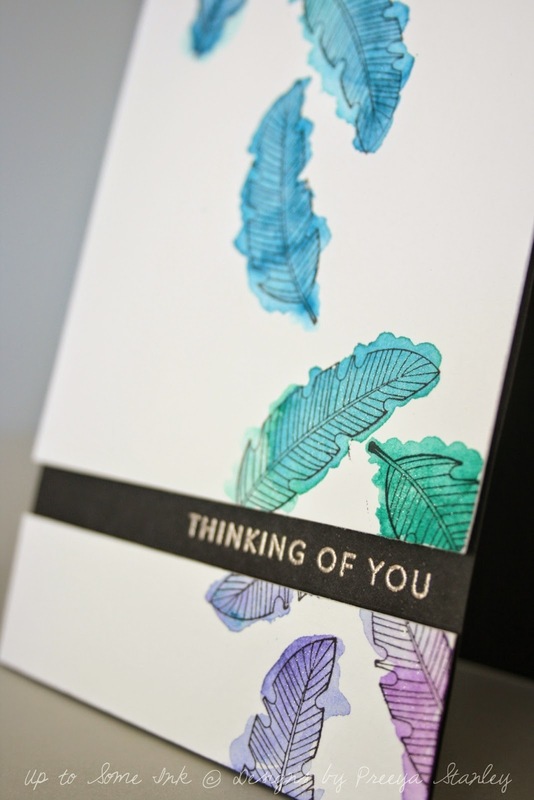 Love the water colour feathers!!! Hey Preeya, love this card. 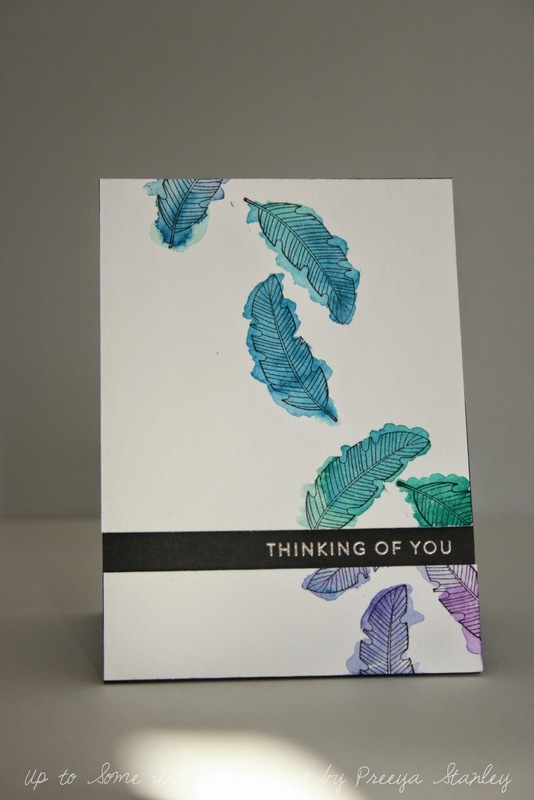 I am crazy for feathers & watercolors look fantastic on it. Thanks for the love on my blog. WOW, what a great card, thanks for the great video too!